That’s the sound of me squealing that we’ve got another round of The Coconut Club under our belts. This last run was the best yet. Not only were we set up in an actual, OG L.A. Tiki space, but we also had a seance and a giant glowing tiki god. Small fires aside, it was magical. When you go to events like this, or any event really, where custom drinks are served up, do you ever stop and think about all the drinks that just couldn’t make it to the table that night? Nathan (who also makes drinks for the Coconut Club and who you will see behind the bar more than me) and myself spend countless hours alone and together mixing up possible drinks that we think our audience will love. As much as we’d like to serve them all, some need to get cut from the line up due to timing and to prevent you all from getting alcohol poisoning from over indulging. We have your best interests at heart. This drink came about during one of my R&D days but realized we already had the Piscolada Shrimp Cocktail, a customer favorite, already on the menu and the ingredients were too close to justify serving it. So consider this the B-side drink. Turns out it makes a fabulous brunch drink. So, yes, you can drink Tiki at 10am. 1. I had a huge amount of excess pineapple juice leftover from another drink and I can’t bring myself to waste things so I froze the juice up instead. 2. 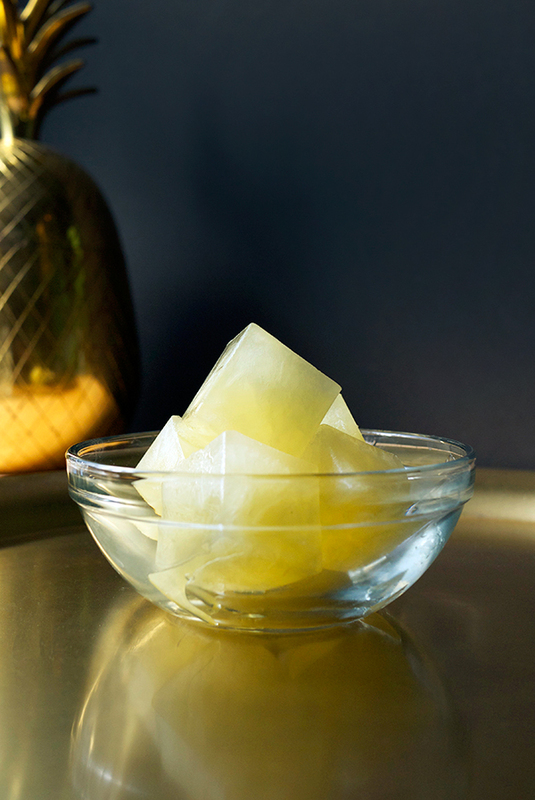 Frozen pineapple juice cubes mean way less watering down of your drink. If you don’t want to go through the effort of making the cubes, then I would suggest chilling all your ingredients ahead of time so that you still get a nice cold base. 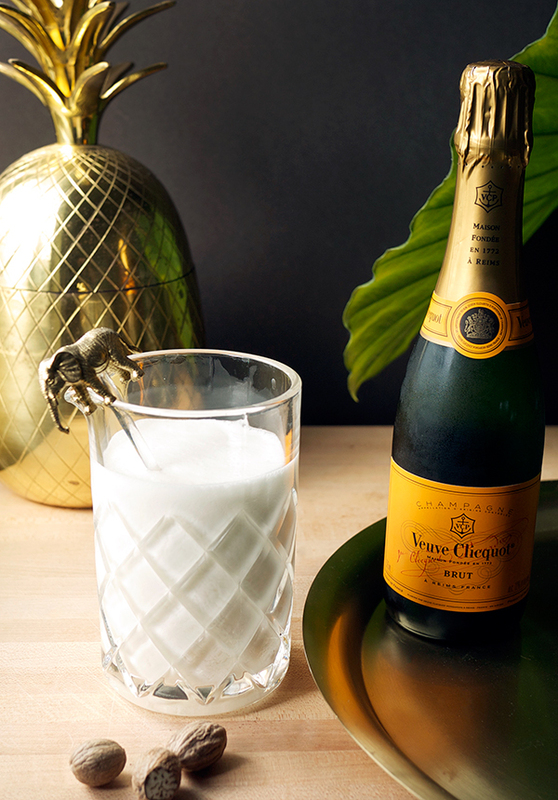 In a blender, combine rum, coconut cream, pineapple juice cubes and bitters. Blend until well combined and no ice remains; consistency will be more like a thin soup, not a slush. 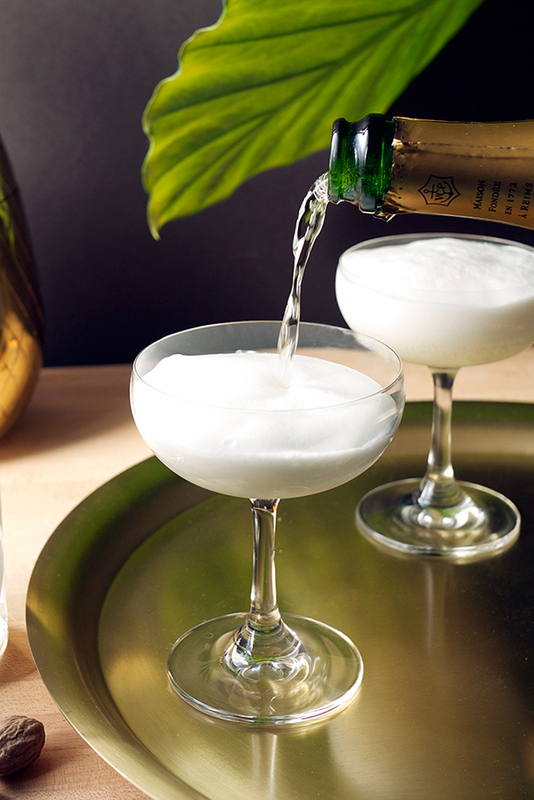 Pour about 3 ounces into the coupes and top with champagne. Grate fresh nutmeg over the cocktails. 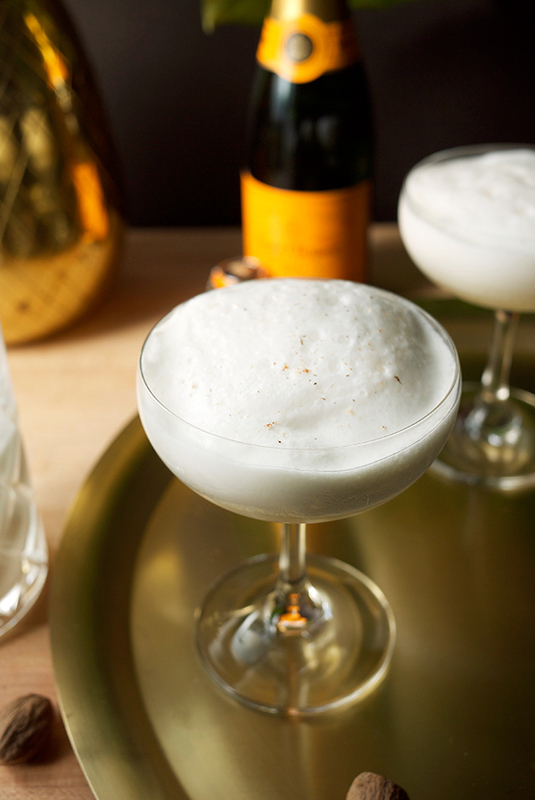 An interesting effect occurs when you top the base with champagne: the cream causes the drink to bubble and foam on top. It looks like a beautiful pillow of coconut cream that smells faintly of pineapple. 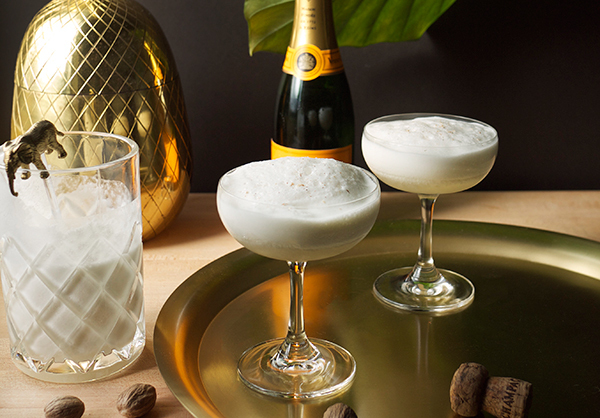 While the cream and juice are quite sweet, as well as some sweetness from the rum, the champagne cuts right through offering some bitter and savory notes for balance. These particular bitters lend some notes of citrus and spice for further flavor enhancement. The cocktail is super light and easy drinking. Perfect for your next brunch, breakfast, or mid-week snack. The Coconut Club is BACK! March 6,7 and 8 – time to get your tickets! I know that drink! 12 cocktails originating in New Orleans (some you know and some you don’t). Want to date your bartender? Know these things up front and you won’t be surprised by that bank roll of dollars in their pocket. The Bitter Truth and Havana Club give you the essence of Cuba. For your cocktail glass. Friday the 13th has historically been a pretty awesome day for me. But you came here to drink, so let’s check out these bartenders favorite 13 bottles to have in their bar. Americans are drinking more whiskey than beer. It might not be the best whiskey, but it’s happening. But those who are drinking beer might be chasing one of these White Whales. WHY IS THIS A THING?? Into vintage cocktail books but can’t afford the price tag? Cocktail Kingdom to the rescue with a handful of new reprints.